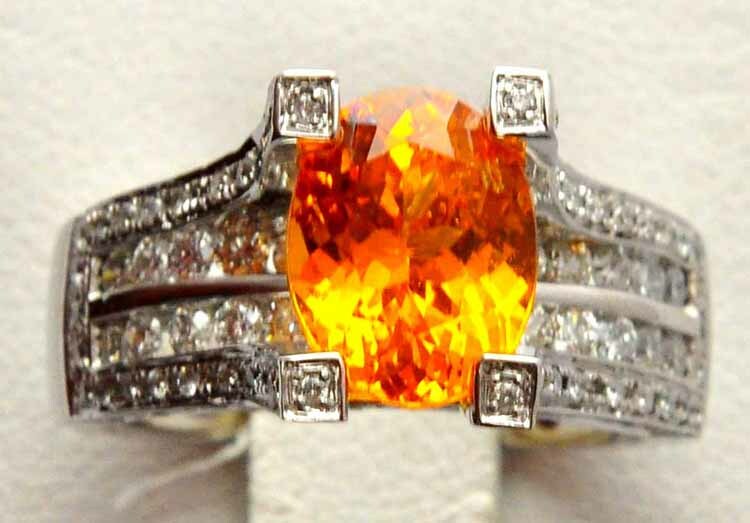 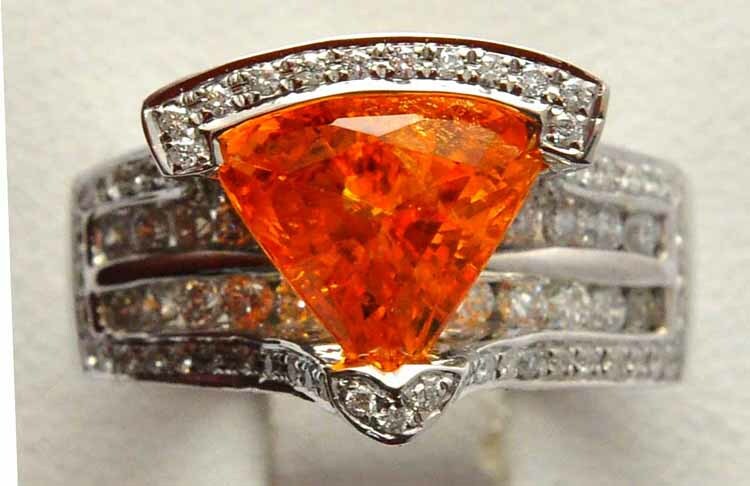 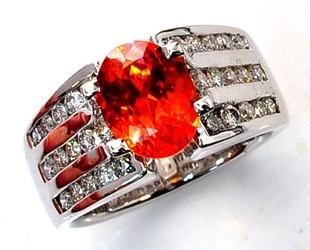 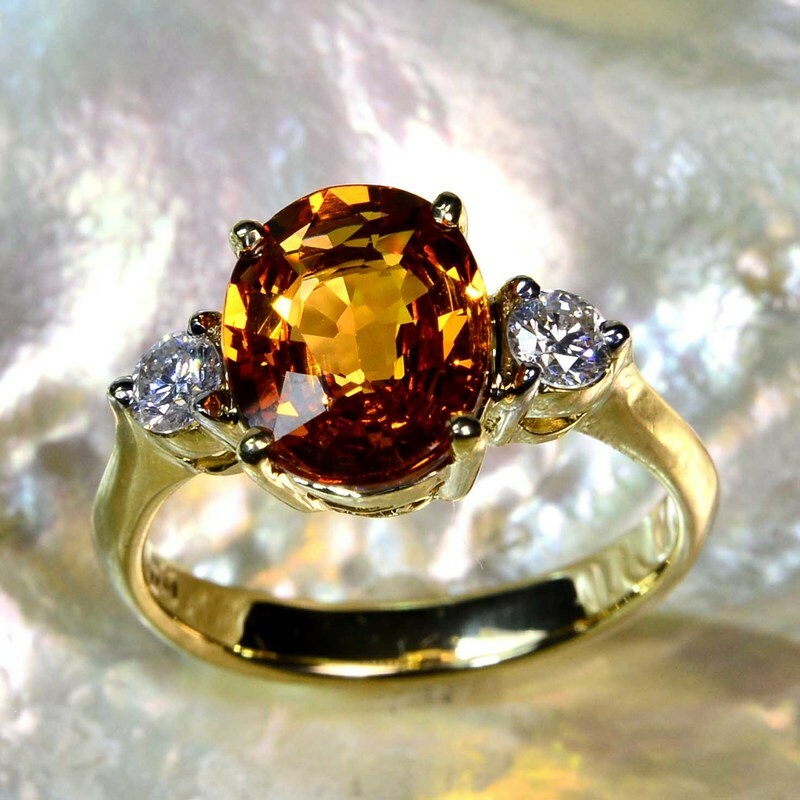 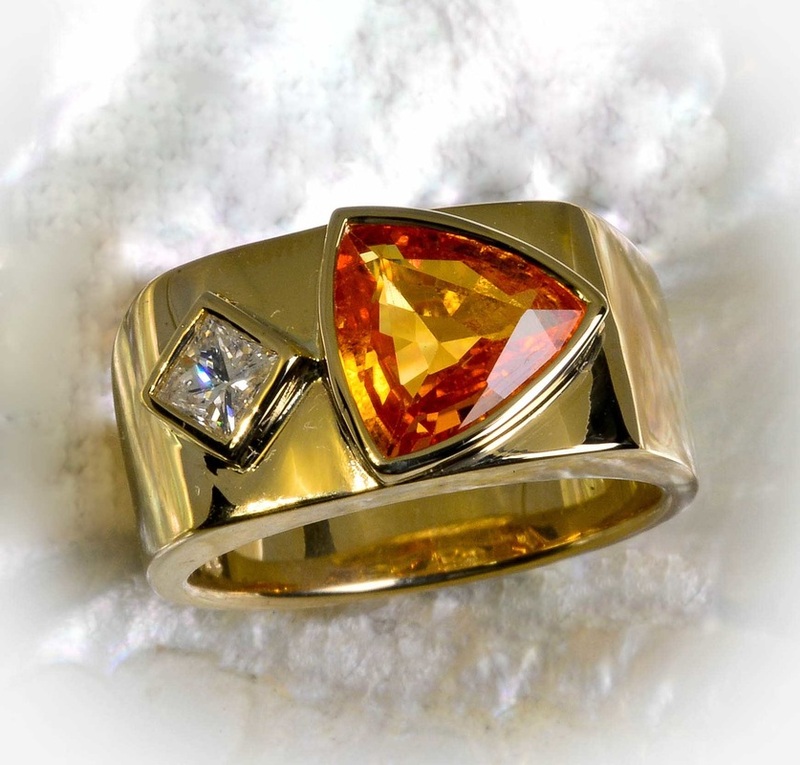 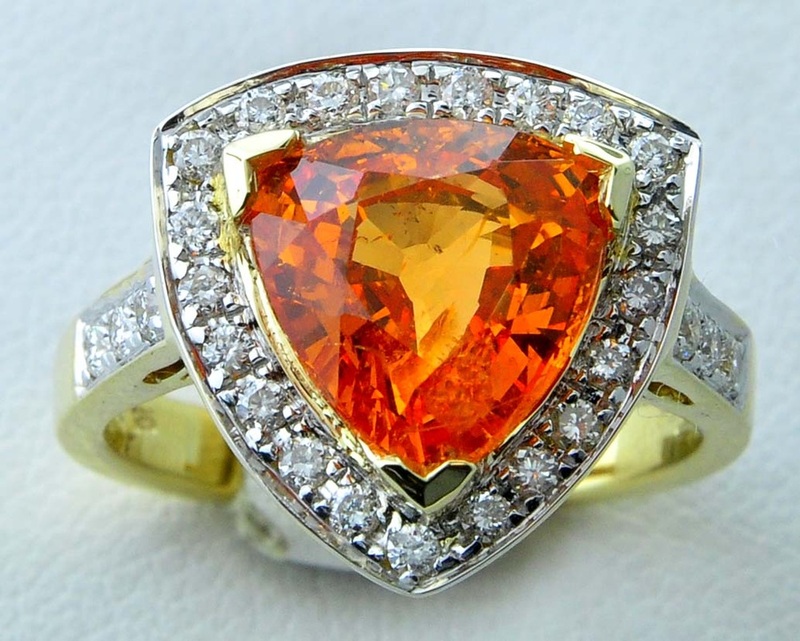 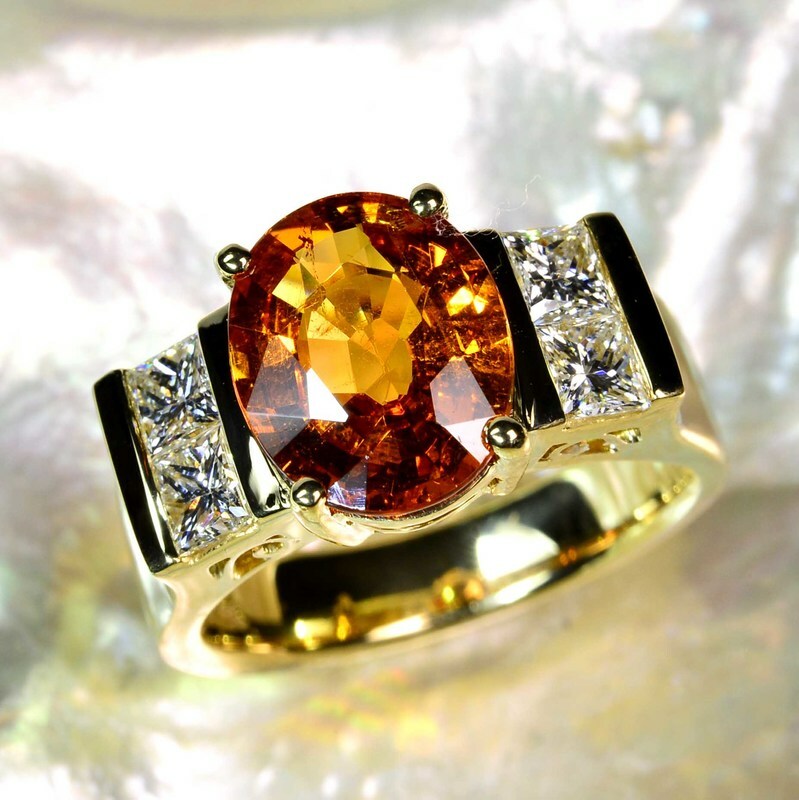 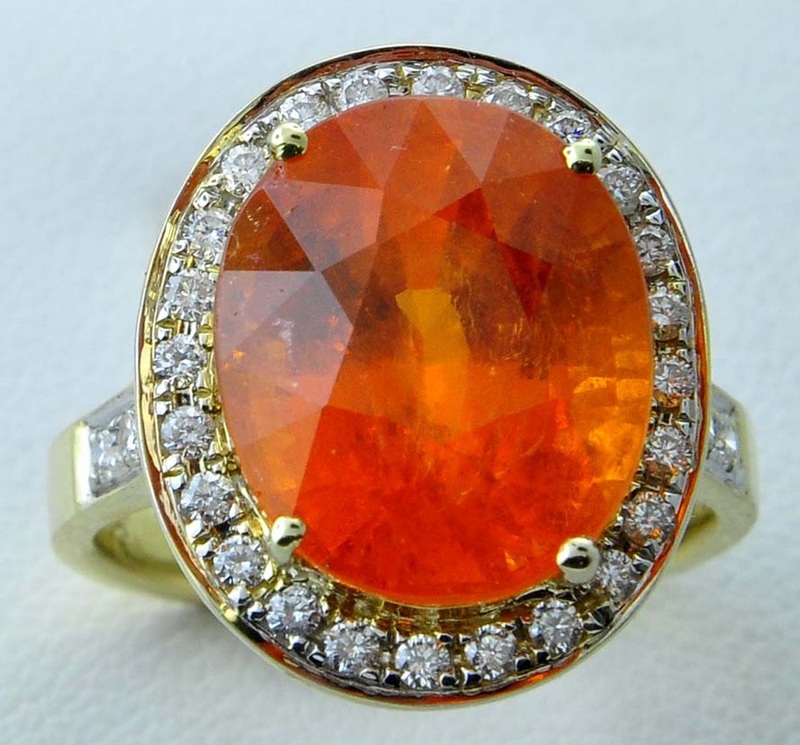 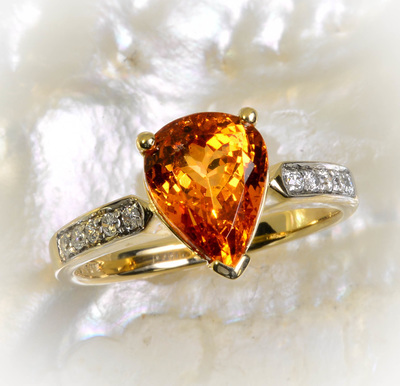 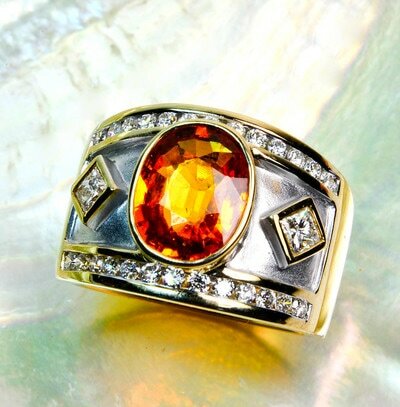 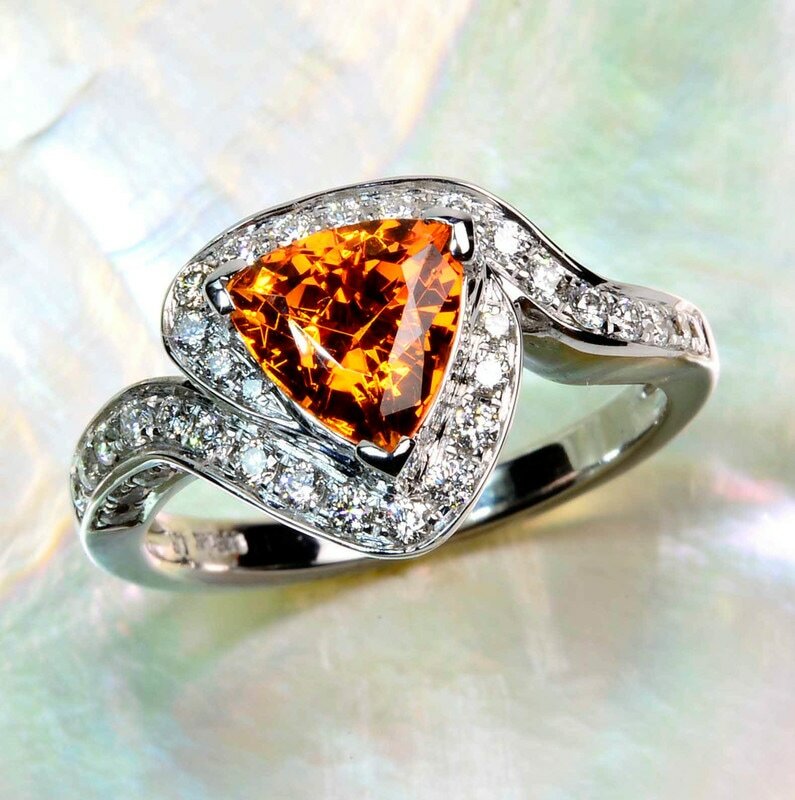 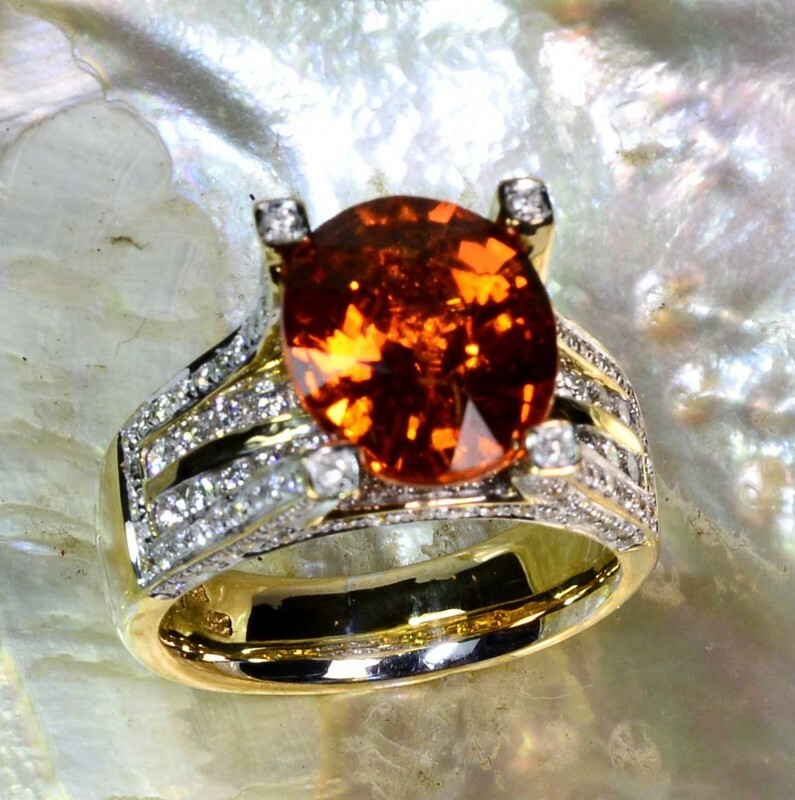 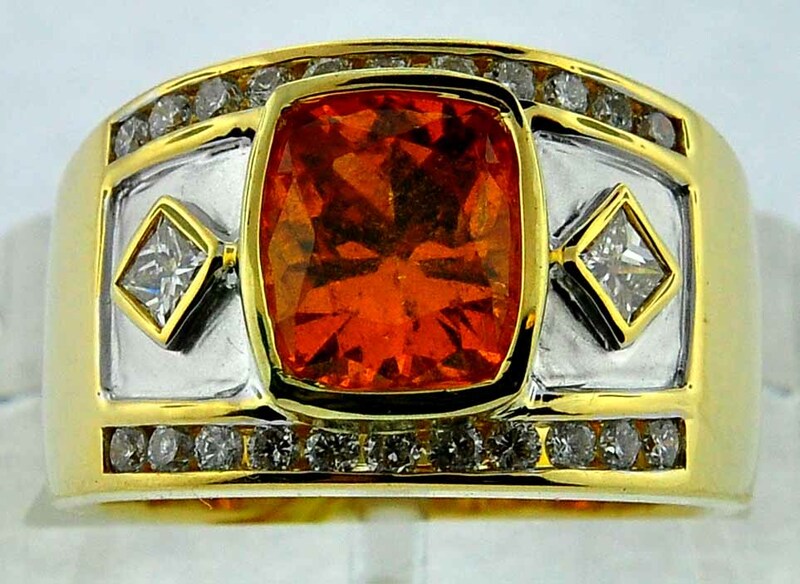 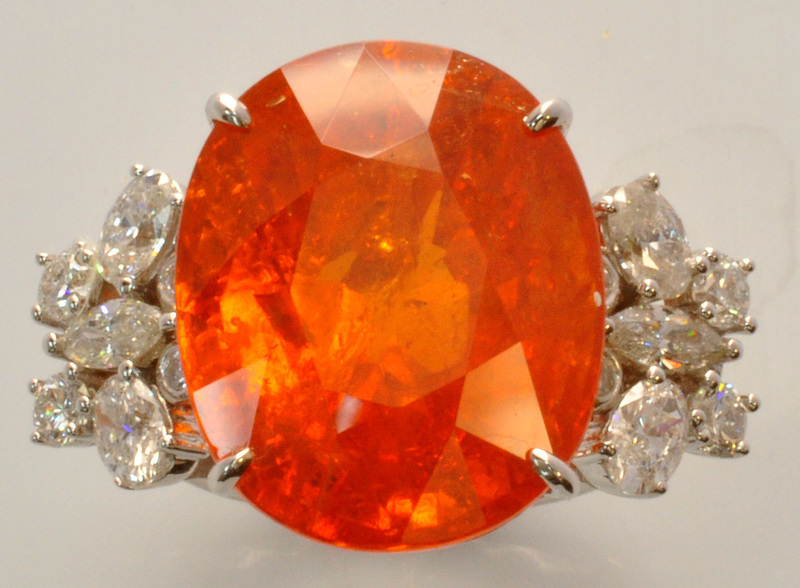 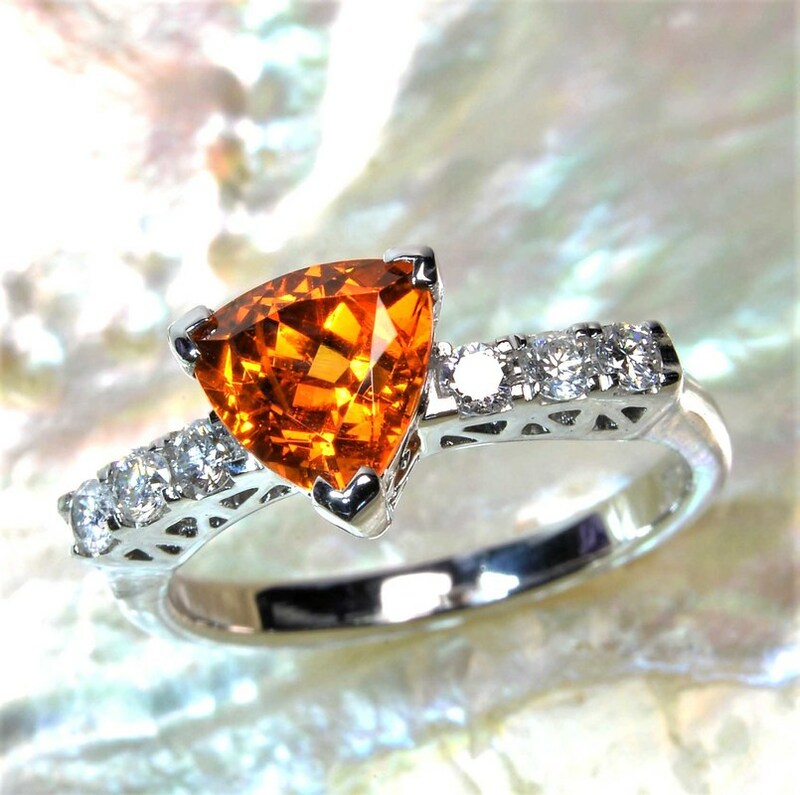 Up until a few years ago, Mandarin Garnets were are relatively unknown gemstone - the reason being that they are exceedingly rare, and there wasn't a reliable source of them. About 15 years ago, in the hills of Namibia, they discovered this material from the Spessartine family of garnets. 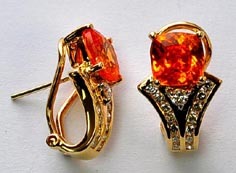 Most spessartites have either a deep reddish or brown color, but these garnets found in Namibia had a beautiful deep fiery orange color. 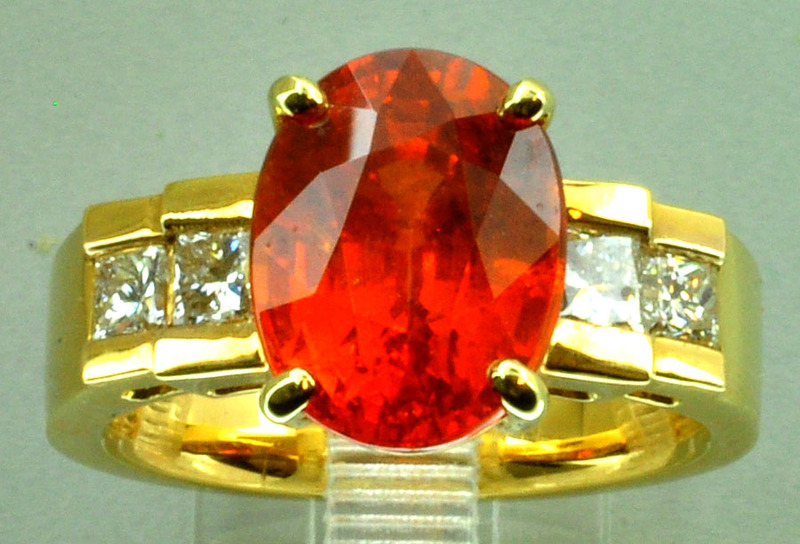 These stones are treasured by collectors for their rarity. 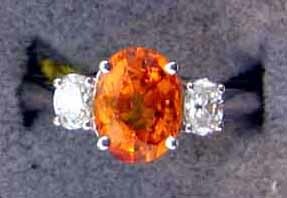 Much of the material from Namibia tends to be included, especially the larger specimens over 5 cts. 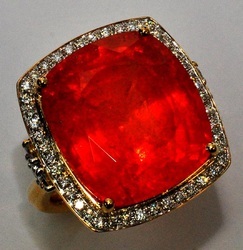 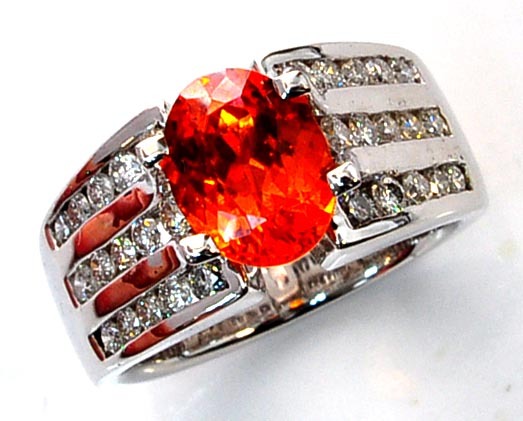 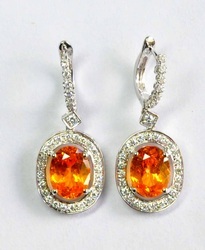 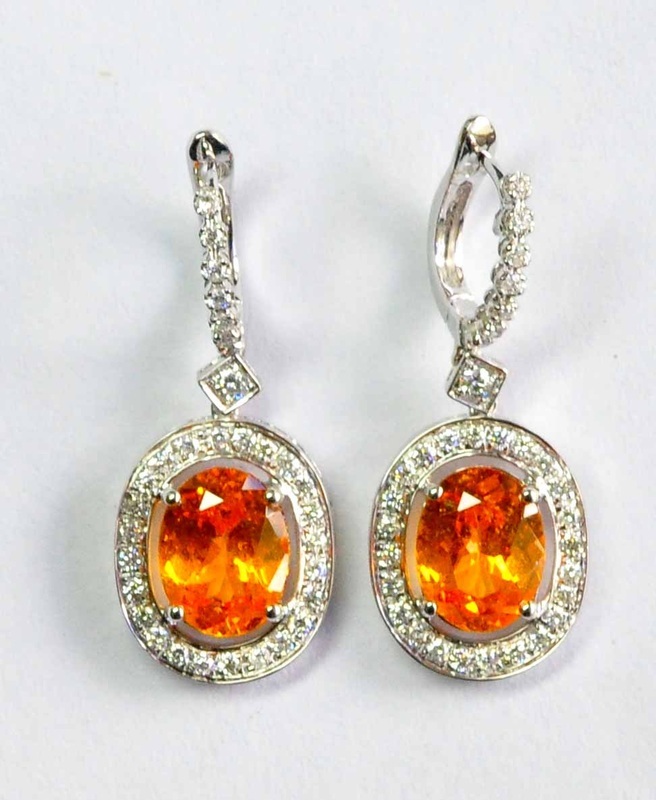 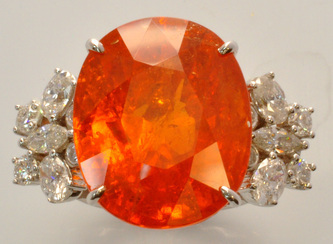 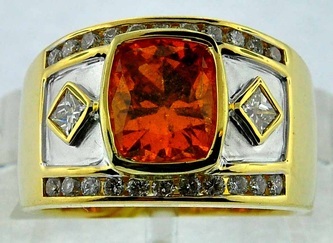 Supply of this material has been dwindling, and it is getting more difficult to find fine gem quality Mandarin Garnets.